Stelia Doz wrote an interesting essay (in Italian) about the interpretation of the romantic Lied. The essay deals with issues such as gesture, pronunciation, setting of the voice and the piano’s role, in such a complex work as Schumann’s. You can find it also in pdf format here. Alexsandr Nikolaevič Skrjabin (1872-1915) at the beginning of the Nineties was successfully building a career as a virtuoso piano player, although he already proved his talent as a composer (he wrote his first work at thirteen). Unfortunately, in 1893 an illness made him unable to use the right hand – a condition very hard to endure. Only in 1895 he had the possibility to resume his career, but in the meantime he at least partly overcame the gloomy moods of that period writing two really challenging compositions for the left hand only: a Prélude and a Nocturne, that together form his Opus 9. A real tour de force for the daring pianist, the Nocturne in particular isn’t simply a showing of technical prowess, it’s also a turning point in his exploration of the music’s world. As Piero Rattalino wrote in his Storia del pianoforte [History of the piano], «It is possible to see the shift from conceptions of the sound that are still Chopinian-Henseltian, to Skrjabinian conceptions in the Nocturne op. 9 #2 for the left hand; the starting point, that is almost plagiarized, is the second movement of Haneselt’s Concerto, but the very quick movements of the hand, needed for jumping awesome distances across the keyboard, cause a different attack of the key and a sound tone that isn’t romantic anymore». His sound constructions are not movements of lines or masses, but «movements of light beams inside a nebula». Equally remarkable is the taste Aki Kuroda shows in choosing the programs of her performances, often giving to her audience vibrant renditions of not-so-well-known works, and enlivening this way our appreciation of the musical universe. In this case, the theme is «the left hand»: the Skrjabin’s Nocturne is paired with one of the Piano Studies of Brahms, based on Bach’s Ciaccona from a Partita for Violin – not a lesser technical challenge. Si può cogliere il passaggio da concezioni del suono ancora chopiniano, henseltiane a concezioni scriabiniane nel Nottuno op. 9 n. 2 (1894) per la sola mano sinistra; il punto di partenza, che quasi viene plagiato, è il secondo tempo del Concerto di Henselt, ma i rapidissimi spostamenti della mano, necessari a coprire enormi distanze sulla tastiera, provocano un attacco del tasto diverso e una sonorità non più romantica. […] Nella formazione del suo stile pianistico si possono così individuare influenze dirette o indirette di Chopin come di Liszt, di Schumann, di Henselt, ma il suo stile, in quanto ha di suo proprio e di irrpetibile, sic hiarisce nello sviluppo dei movimenti di parti interne fino a che le sue costruzioni sonore non si articolano come movimenti di linee e di masse, ma come riflessi, come movimenti di fasci di luce all’interno di una nebulosa. Tomorrow on Limenmusic Web Tv @ www.limenmusic.com (Channel 1): Schumann’s Liederkreis Op. 39 interpreted by Stelia Doz (Soprano), accompanied by Guido Salvetti at the piano. Do you want to see the trailer of the concert? The second update of October 1st on Limenmusic Web Tv will be a concert of the popular Japanese pianist Aki Kuroda. She will perform a concert for the left hand, with music of Bach-Brahms and Skrjabin. A special performance, not to be missed! Waiting for the broadcasting of the concert by Stelia Doz (Soprano) and Guido Salvetti (Piano) on Limenmusic Web tv? If you don’t know them already, below you can find links to the Liederkreis Op.39 texts, based on Eichendorff’s poems. From October 1st, 2010 the Limenmusic WebTV programming will be enriched by a series of updates. The first is the broadcast of a concert by Stelia Doz (Soprano) and Guido Salvetti (Piano). Their performance is an homage to the great German composer Robert Schumann, celebrating the 200th anniversary of his birth. Stelia Doz and Guido Salvetti will interpret the Liederkreis op.39 , a cycle of Lieder based on Eichendorff’s poems. This is our first «official» post. Today the blog goes public. Limen main asset is the web tv (limenmusic.it), based on «live» audio/video recordings made in our studio. Our headquarters are in Milan (Italy). 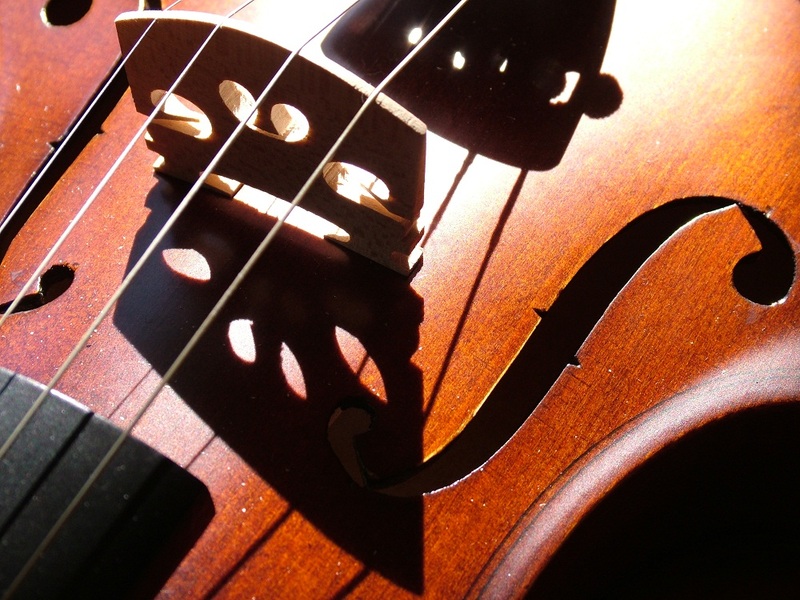 The web tv is focused on classical and jazz music, and the performing musicians are among the finest in the world – we’ll introduce them along the way. The goal of this blog is to document the musical life around the web tv, opening a conversation which the staff, the musicians and (hopefully) all the people interested in music all around the world will take part to. We’ll talk about our programs, the changing world of musical performance, the activities of the musicians, but there will be space for in-depth information and analysis of the performed works; for texts, audio and video documents about every aspect of this world, as well as for the relationships between music and the arts, music and philosophy, music and literature… And probably something else, we don’t even imagine yet. Comments, remarks and suggestions are welcome. At 14:00 (GMT + 1) Trio Caravaggio is in our studio. They will record some tracks for Limenmusic Web TV. 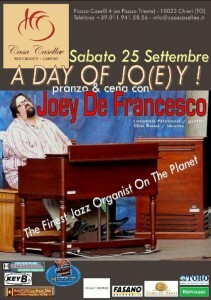 September 25th, Joey De Francesco will play for us during lunch and dinner in a famous restaurant in Chieri, a beautiful city near Turin. Joey will be accompanied by Lorenzo Frizzera (guitar) and Giò Rossi (drums), members together with Diego Borotti and Alberto Marsico, of the Organ Logistics. Today is a day filled with appointments. In the morning Virginio Sala will meet Danilo Rossi, viola soloist of La Scala in Milan, to talk about the casket, that will collect all the Great Music for viola and piano. They are scheduled to record an interview about Rossi’s career, his instrument, and the general layout of this new project. Late afternoon, we are meeting Takahiro Yoshikawa, the talented and already well-known japanese piano player. We’ll focus on communication strategy, in view of the many performances scheduled in Japan and Italy between the end of this year and the beginning of 2011. You can find more information in Takahiro Yoshikawa‘ s page.